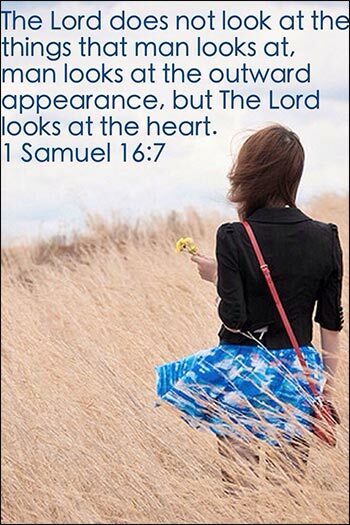 [M]an looks on the outward appearance, but the Lord looks on the heart. Hypocrisy is the endemic state of Christianity. But we should not suffer agony when we see that our actions fall short of Christ's teachings. We cannot expect spiritual perfection; but there are two very different kinds of people. Lord, lead me to never deny your commandments, even where I fall short. Amen.